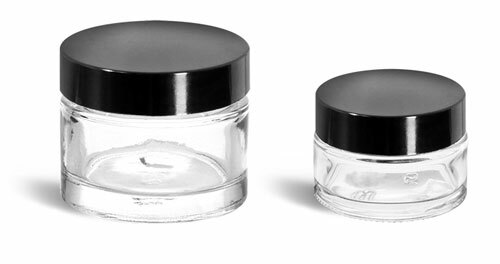 Use our clear glass cosmetic jars with black caps for packaging your line of beauty products. 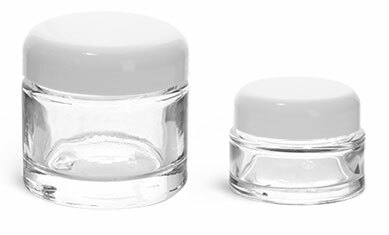 These glass jars are offered in 2.3 oz sizes and smaller making them ideal for products such as cream blush, lip gloss, eye shadow and gel eyeliner. 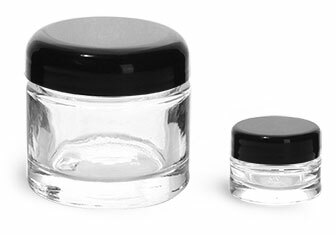 These jars are offered with regular and domed black caps made of phenolic or polypro plastic and feature a thick clear bottom making the product appear to be suspended within the jar. Order your glass cosmetic jars today!